Sign up for an hour or two to pray as a body on October 20th – 21st. We will begin the evening at 5 pm on Friday night with having live worship in the Chapel and prayer stations, and end 5 pm the following night. 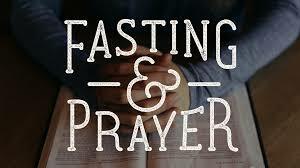 We will have a one hour increment to sign up to pray. Although praying at home is powerful, we encourage you to sign up to be at the church during your hour of prayer. Bring a friend, or several. This will be a sweet, powerful time, of encountering the Presence of God!